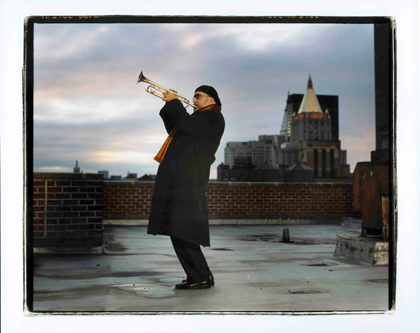 Randy Brecker has been shaping the sound of Jazz, R&B and Rock for more than four decades. 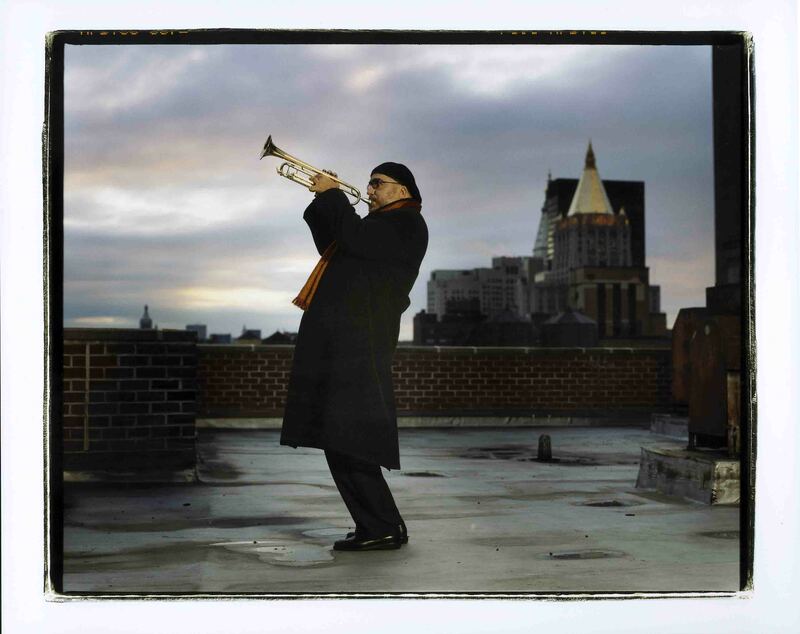 His trumpet and flugelhorn performances have graced hundreds of albums by a wide range of artists from James Taylor, Bruce Springsteen and Parliament¬Funkadelic to Frank Sinatra, Steely Dan, David Sanborn, Jaco Pastorius, Horace Silver and Frank Zappa. Randy left BS&T to join the Horace Silver Quintet. “BS&T was a very structured situation…I needed to stretch out and play.” In 1968, Randy recorded his first album as a leader, ‘Score’ (re¬ issued in 1993 on Blue Note), which also featured a young and then unknown 19 year¬old tenor saxophonist named Michael Brecker. After Horace Silver, Randy joined Art Blakey’s Jazz Messengers before teaming up with brother Michael, Barry Rogers, Billy Cobham, and John Abercrombie to form the seminal fusion group ‘Dreams’. The group recorded two adventurous and wildly acclaimed albums: ‘Dreams’ and ‘Imagine My Surprise’ ¬ now collector’s items ¬ for Columbia Records before they disbanded in 1971. In 1972, Randy was back with Horace Silver, this time with brother Michael as the front line in Horace’s quintet. By now, the two horn players had become two of the most in¬demand studio musicians of the day. After recording the now classic ‘In Pursuit of the 27th Man’ (Blue Note) with Horace, Randy left to join another new influential jazz¬ rock group led by old friend Larry Coryell which resulted in the album ‘Larry Coryell and The 11th House’. In ’73 Randy toured with the great Stevie Wonder and also made his way to Japan for the first time with Yoko Ono and the Plastic Ono Super Band (!) (which featured, among others, Michael Brecker, Don Grolnick, Steve Khan and Steve Gadd). In ’74, the brothers joined Billy Cobham’s group, Spectrum, with whom they recorded several albums, and by 1975 they were ready to front their own band. The Brecker Brothers were to become a band of immeasurable influence and impact. Hailed by pop and jazz critics alike, their first album ‘The Brecker Brothers’ (Arista), which Randy produced, wrote, and arranged, was nominated for four Grammys. The Brecker Brothers went on to record a total of six albums and garner seven Grammy nominations between 1975 and 1981. In 1978 Randy and Michael played a week in NYC with Frank Zappa, which resulted in the album ‘Zappa in NY’. In the late 70’s Randy recorded on Charles Mingus’ last album, ‘Me Myself an Eye’. Randy has performed with various incarnations of Mingus Dynasties, Big Bands, and Epitaphs up to the present day. From 1977¬1987 the Brecker Brothers owned and operated Seventh Avenue South, a jazz club in downtown Manhattan that featured great bands of all styles performing nightly. After the Brecker Brothers parted in 1982. Randy recorded and toured extensively with Jaco Pastorius, recording the famous ‘Word of Mouth’ album, a live concert in Japan. In 1986, Randy produced, composed and arranged his first acoustic jazz album, ‘In the Idiom’, for Denon Records, with Joe Henderson, Dave Kikoski, Ron Carter, and Al Foster. In 1988, Randy recorded ‘Live At Sweet Basil’, for Sonet Records at the famed jazz club in New York, with Bob Berg, Joey Baron, Dave Kikoski, and Dieter Ilg. Through the end of the 80s, Randy toured North America and Europe several times as a leader, as well as touring with Stanley Clarke’s Jazz Explosion. In 1989 under the auspices of the US State Department, he toured Eastern Europe with his Quintet six months before the fall of Communism. Also in 1989, he performed a sold out week at the Albert Hall In London with Eric Clapton. The 1990s began with Randy on tour with the Mingus Dynasty/Epitaph. He also recorded and co¬ produced his third album as a leader, ‘Toe To Toe,’ for MCA in 1990. Then, in 1992, exactly ten years after they disbanded, Randy and Michael joined forces again in a much¬heralded reunion featuring a world tour and the triple¬Grammy nominated GRP recording, ‘The Return of the Brecker Brothers’. In the fall of 1994, the Brecker Brothers released the double¬Grammy winning ‘Out of the Loop’, with tours that followed into 1995 throughout the U.S. and Europe. They were the first international contemporary jazz group to perform in the People’s Republic of China, playing to sell¬out crowds in Beijing and Shanghai. Branching out again in 1995, Randy toured Japan as a special guest with Stanley Turrentine and was one of the first western jazz artists to tour in the newly democratic Poland. In 1996 Randy released his third solo album, this time with a band of musicians assembled from different parts of the globe, including long¬time friend and musical cohort David Sanborn, producer/keyboard artist Gil Goldstein, guitarist Adam Rogers, Brazilian vocalist Maucha Adnet (singer with the late Tom Jobim’s band), and bassist Bakithi Kumalo of Graceland fame, among others. “Into the Sun” featured Brazilian music mixed with pinches of Latin, World Music, Funk and Jazz. Released that year on Pony Canyon in Japan and on Concord Records throughout the rest of the world in 1997, it won Randy his first Grammy as a solo artist in 1998 for “Best Contemporary Jazz Performance.” A live concert of the music from the album was filmed by Japanese television station NHK and broadcast in 1997. The summer of that year, Randy toured Europe with Joe Henderson, and closed the year on tour with the Mingus Big Band across the U.S. and South America, and the Carnegie Hall Jazz Band in Europe. 1998 began with Randy’s appearance on tour as a special guest with Billy Cobham in the U.K. In fact, it was while on stage at Ronnie Scott’s in London, that Randy first heard the news of his Grammy win. Summer appearances included several reunion concerts with Larry Coryell and the 11th House. Later that year he began appearing with the Art of Blakey Band featuring Benny Golson and Curtis Fuller in addition to performing in Israel as a guest soloist. In 2000 Randy signed to ESC Records and released “Hangin’ in the City,” featuring the antics of ‘Randroid,’ his rappin’ cab¬drivin’ alter¬ego. The record was especially well received in Europe and Japan (it went to #4 on the German charts) and allowed Randy to perform more regularly around the world as the leader of his own band. In the spring of that year, he toured the US extensively as a part of Festival Productions’ Newport Jazz Millennium Celebration tour, and in the summer toured US festivals in support of the release of the ‘Jazz Times Superband’ on Concord Records featuring Randy, Bob Berg. Joey DeFrancesco, and Dennis Chambers. He released his next CD for ESC, ’34th n’ Lex,’ in 2003 to critical acclaim (“Randy Brecker clearly outdoes himself on this one”¬ Paula Edelstein AMG Review). 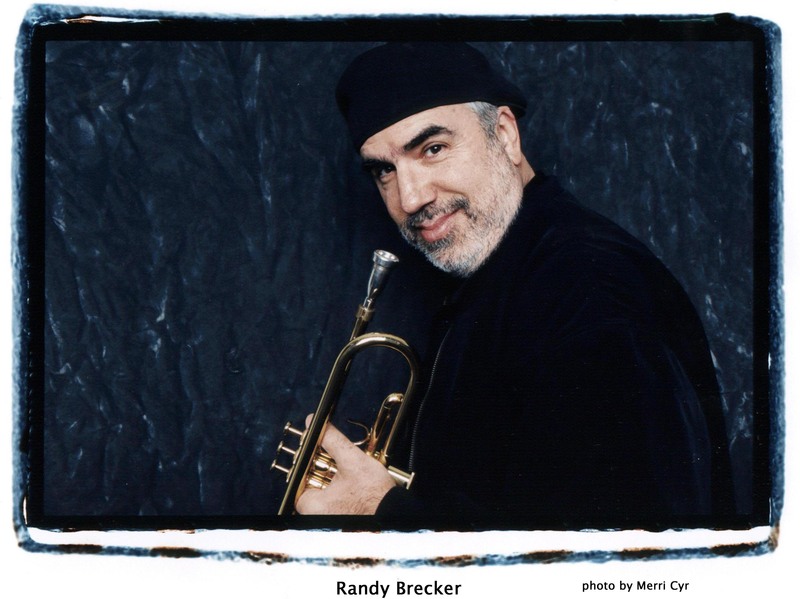 Eleven new Randy Brecker compositions and arrangements were brought to life by the ‘Dream Horn Section’ of David Sanborn, Michael Brecker, Fred Wesley, and Ronnie Cuber, along with Randy’s regular working band and his wife, the Italian saxophonist/composer Ada Rovatti. This CD also brought him his third Grammy for ‘Best Contemporary Jazz Album.’ In May of 2003 he toured Europe with his Quintet in support of the CD, and in the summer went back to Europe yet again with the Randy Brecker/ Bill Evans Soulbop Band. 2004 saw Randy touring Europe extensively as co¬leader (with Bill Evans) of the band Soulbop. The WDR Big Band also celebrated Randy and his music that year in a performance at the Leverkusen Jazz Fest. Performing with him were his brother, Michael, Jim Beard, Will Lee and Peter Erskine, with arrangements by Vince Mendoza. The date was of special significance to Randy as it was the last time he played with his brother, who took ill shortly thereafter with a rare form of leukemia known as MDS. In 2007 he was awarded his fourth Grammy for “Randy Brecker Live with the WDR Big Band,” (Telarc/BHM) the live recording (also available in DVD format) of his performance at the Leverkusen Jazz Fest in 2004. Tragically, his brother Michael died on Jan 13th, 2007. Only days later, Randy would perform at a special tribute concert at Disney Hall in Los Angeles for the great Horace Silver, who had been a mentor to both brothers. 2007 also saw the release of a 2 CD set of live recordings of the band ‘Soulbop’ (BHM) featuring Dave Kikoski, Victor Bailey, Steve Smith or Rodney Holmes and the late great Hiram Bullock. The same band appeared at the Tokyo Jazz fest along with many old friends and toured extensively from Budapest to Korea to Israel. Randy’s CD, ‘Randy in Brasil,’ was recorded in Sao Paulo with a full complement of great Brazilian musicians and released in 2008 on Summit/MAMA Record in the U.S., JVC in Japan, and on XYZ in Europe in 2009. Chosen one of the Top 10 CDs of 2008 by AllAboutJazz.com, the CD won the Grammy for “Best Contemporary Jazz Album,” bringing Randy’s Grammy total to five. 2008 also saw Randy guesting with the Rosanna Vitro/Kenny Werner ‘Delirium Blues Project’, Conrad Herwig’s ‘Latin Side of Herbie Hancock’, Chuck Loeb/Mitch Forman’s ‘Metro Special Edition’, the Kenny Werner Quintet, and extended tours in Japan and Europe as a special guest with the Mike Stern Quartet. Many of the Brecker Brothers most famous compositions were included, along with famous tunes from the Jaco Patorious catalogue. And in 2009, Randy’s roots were celebrated with the release of ‘Jazz Suite Tykocin,’ a project initiated and conceived by the Polish pianist and composer Wlodek Pawlik, featuring Randy as a soloist with members of the Bialystok Philharmonic. Tykocin is the area in Poland where Randy’s ancestors (mother’s maiden name: Tecosky) hail from, a fact that Pawlik discovered while helping to search for a donor for Michael. 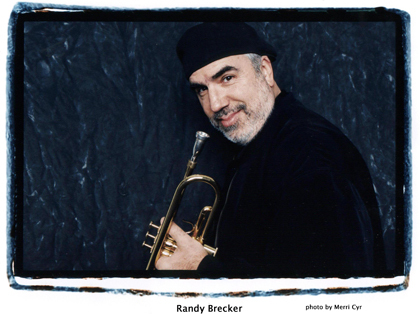 As a composer, performer and in¬demand Yamaha clinician, Randy Brecker continues to influence and inspire young musicians around the world.